The city with something for every age group, Vegas has been in the top five of the most popular spring break cities for a few years. It's not just the gaming that attracts visitors, it’s also the premier entertainment, gourmet food, world-class golf, numerous outdoor activities, family fun, and much more. Hilton Grand Vacations has several locations in Las Vegas. Hilton Grand Vacations Suites is located in the heart of the Vegas Strip. Spacious studios and two-bedroom suites have all the conveniences of home and the resort offers multiple amenities for singles, couples and families. 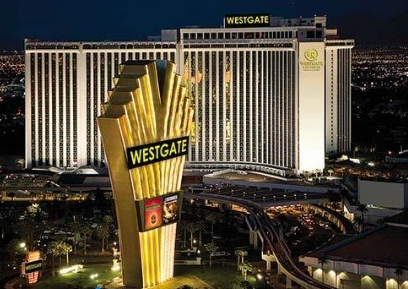 Stay at the Westgate Las Vegas Resort & Casino and you'll have something to brag about to the folks back home. The resort was formerly the LVH-Las Vegas Hotel and Casino where Elvis performed 837 consecutive sold-out shows that broke all Las Vegas attendance records. Another city that takes a top destination spot year after year also takes the #3 spot for Best Beaches in Mexico. Cancun offers something for everyone. It appeals to your party side with its numerous bars and clubs, and to your intellectual side with its archeological and historical sites, but is also family-friendly. Guests don’t need to leave the premises if they don’t want to at The Royal Cancun Resort. Everything they need is there - sheltered beach with views of the gorgeous Isla Mujeres, restaurants and bars, spa and fitness center, water sports and even a market to stock up on supplies. Orlando's top attraction and the reason most people visit is Disney World. It actually could be called the theme park capital of the world if you add its numerous other parks besides Disney World. There’s also plenty of golf courses, and professional sports teams play frequently at Orlando stadiums and arenas. One of the best ways to take in the whole experience would have to be from Disney Vacation Club’s newest addition, Disney’s Polynesian Villas and Bungalows. You'll enjoy a nightly fireworks display over the Magic Kingdom from your own private bungalow overlooking the Seven Seas Lagoon. You’ll also have a ring-side seat for the Electric Water Pageant - think watery version of the traditional Disney Main Street Electrical Parade. All are just a quick monorail ride away from the world-famous Magic Kingdom. Also an Orlando favorite, the Sheraton Vistana Resort Villas is a calm oasis with seven outdoor pools, tennis courts, scuba diving, fitness centers and numerous amenities. Located on the eastern shore of the Dominican Republic, Punta Cana is a paradise with white sand beaches, water of multi-hued blues, tropical breezes and swaying palms. It’s the ultimate beach vacation location for all ages. Stay at the Occidental Grand Punta Cana, an all-inclusive resort set on 700 yards of stunning beachfront property on the most popular beach in the country. You'll never have to leave the property and you'll never want to with its nine themed restaurants, seven bars, lagoon style pools and endless water sports, daily activities and nightly entertainment. You might not be a rock star, but you will definitely feel like one at the Hard Rock Hotel and Casino. The Hard Rock Punta Cana boasts 5 Star accommodations, international cuisine, and Body Rock® fitness center, glamorous entertainment, the Rock Spa® and so much more. Bring your guitar! What more can possibly be said about New York Cit - it has world-class everything - dining, art, culture, entertainment, shopping and architecture, plus the most amazing people watching ever. Accommodations are numerous, but here's a couple to try. The Hilton Club has two locations in the city. The one located in the heart of midtown Manhattan’s Plaza District is close to destinations like Lincoln Center, Central Park and Fifth Avenue. The other Hilton Club is a unique private retreat in the center of Manhattan. Both offer extensive upscale amenities and services. Another option is the Manhattan Club, a residence-style Boutique Hotel in midtown, a blend of a vacation ownership retreat with a luxury hotel suite. The club is also convenient to many of the city’s attractions.